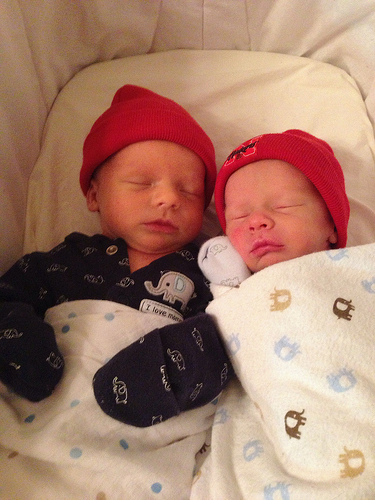 As the father of twins, your help will be needed when the babies come home from the hospital. 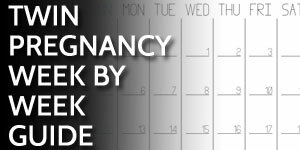 The Family and Medical Leave Act (FMLA in the United States) allows both the mother and father to use up to 12 weeks of leave for prenatal and post-pregnancy care. Your employer will likely have specific policies on how that time is allocated (vacation vs. sick time or time without pay). So the question is: when should you take your paternity leave? If your wife is on bed rest, she may need help even before the twins arrive. However, this may put you in a sticky situation: your family needs you at home for more time than you can take off of work. The first piece of advice I give to anyone that tells me they are having twins is “get help.” When people ask how they can help, put them to work. When our twins were born, I took a week off right when the twins were born. Most of that time was spent in the hospital but it did give me a few days back home with our girls. I then returned to work for several months since we had lined up helpers to come and stay with us. When all our helpers went home, I then took the last piece of my paternity leave. Thus we stretched out as long as possible having more than just my wife at home. Stay flexible because your situation will vary from mine. For example, your babies may spend time in the NICU which will require more of your time and effort. Be creative in how you handle staffing needs at your house with newborn twins. Talk to your employer to see what your options are and see if you can work flexible schedules if needed. While you might not be able to take off a full 12 weeks without pay (you do have two new mouths to feed), by planning out when and how you’ll take your paternity leave, you’ll be able to help transition your family into your new reality as gently as possible. How are you planning on taking (or did you take) your paternity leave? We are at 30 weeks. Twin girls due in 2 months. My company is giving me a month off paid, starting most likely when they are born. Although, I’m in a “project” type position so my work load will be weaned off as the date approaches. Wife negotiated 3 full months of half pay, so that’s pretty nice. @Jason – Congratulations! Sounds great that you have a flexible and accommodating employer. Best of luck in the final months of the pregnancy. @Bill – The combination of a longer leave and family helpers will be great for your family. My twins were born in the winter but we decided that my husband would take his paternity leave in the spring. This worked out really well because we had family coming to help when the twins first came home from the hospital. It also gave me something to look forward to because in my opinion the scariest time with newborn twins is the time that you are alone with them with nobody around. Knowing there will be help ahead was a great feeling. @Irene – that is a great strategy!